Board index ‹ Info ‹ NOTICEBOARD. Post here news and information about local events - Pub, Club, Society, Competitions, Exhibitions, etc. From around the local King's Lynn, Hunstanton, Wisbech, Downham areas. Also more general national information and money saving tips are welcome. WHERE IN THE WORLD DO YOU LIVE? Get yourself placed on the map. Anyone know if the bird still about the area? ....... There is a rumour in the village that its been seen in and around St Peters Churchyard, so it looks like the old bird has crossed the river ? What I can confirm is a number of dead bird carcases, mostly pigeons, have been found around the old gravestones. ....... I think the old girl likes being the centre of attention and having her photograph taken at her new home in West Lynn. This one was taken yesterday evening by a lady who lives opposite. 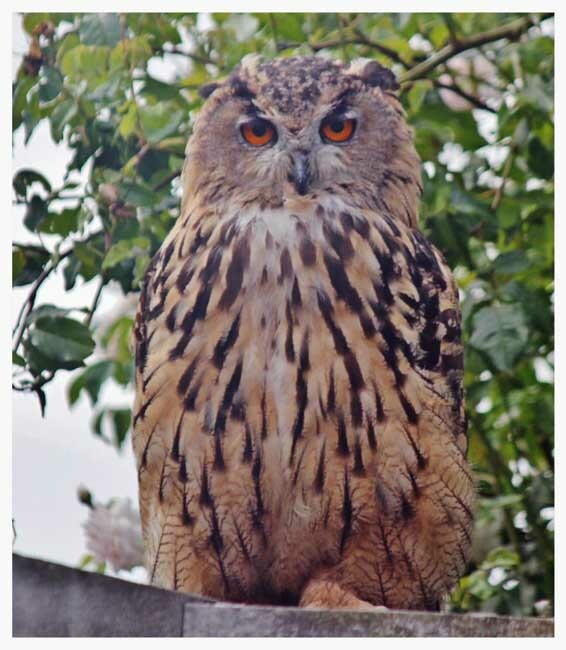 ........ It’s well over a month now since the last post about Delilah the Eagle Owl. Does anyone know if she is still free and in the Lynn area or has the old bird been caught and sent back home ?? in a garden in Loke road. Mac Tucker was called and he picked it up and took it home. ....... That's great news. In my opinion, for what its worth, I think a lovely bird like Delilah should be free. Do not know the fate of Delilah and may not still alive, but a huge eagle type bird flew over mine this morning being mobbed by a group of birds.